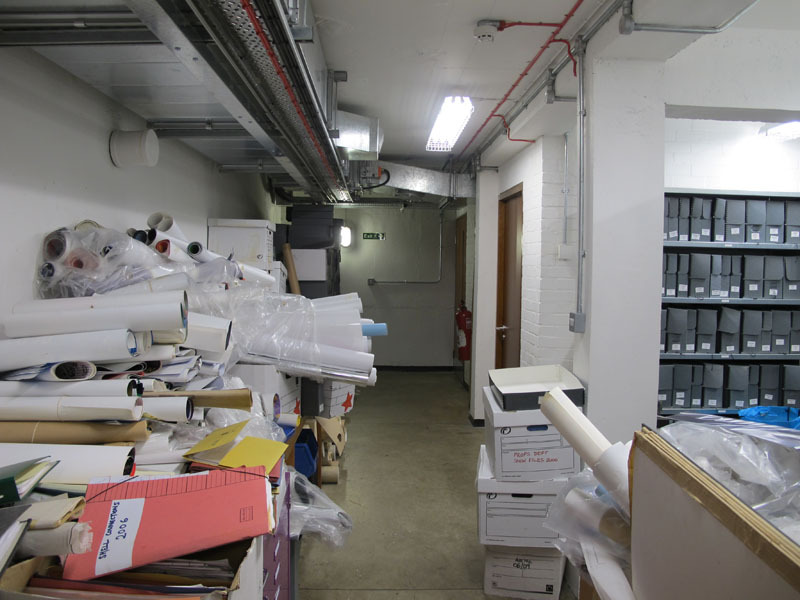 This afternoon I had the great pleasure and opportunity to visit the National Theatre Archive to lend a hand with some video footage for next weekend’s Olivier’s Shakespeare: Violence and Memory colloquium and reception. It started with meeting author Terry Coleman (Olivier the authorized biography) for tea on Tuesday at the Royal Academy of Art. He will be presenting at the reception, and, being a visitor of vivandlarry.com, he knows my appreciation for Sir Laurence and asked if I’d like to help with some media. I said “yes,” so he put me in touch with Gavin Clarke, the archivist at the National Theatre in London. 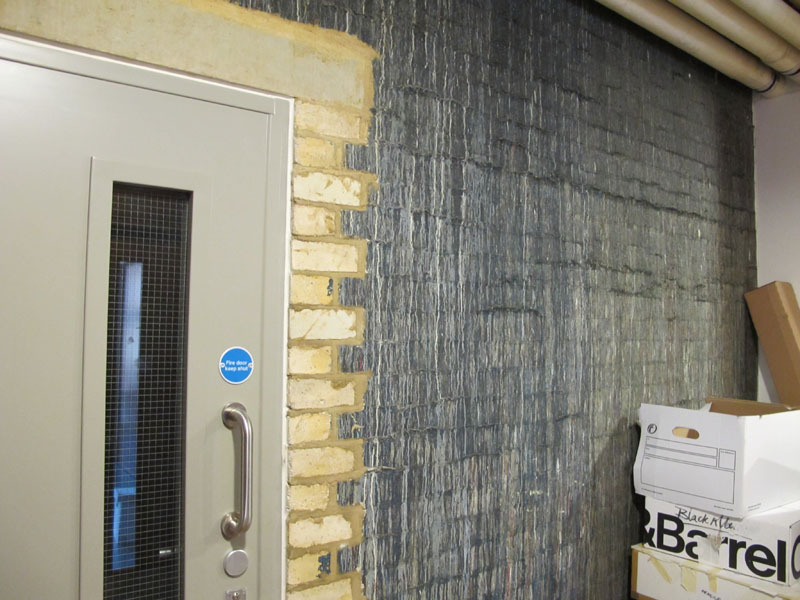 The NT Archive isn’t housed at the actual theatre on the South Bank, but rather at the National Theatre Studio in The Cut, right next door to The Old Vic, and the old offices occupied by the likes of Laurence Olivier and other executives were in Aquinas Street right behind the building. This is because the National Theatre Company was based at The Old Vic until the NT on the South Bank was completed in 1976. 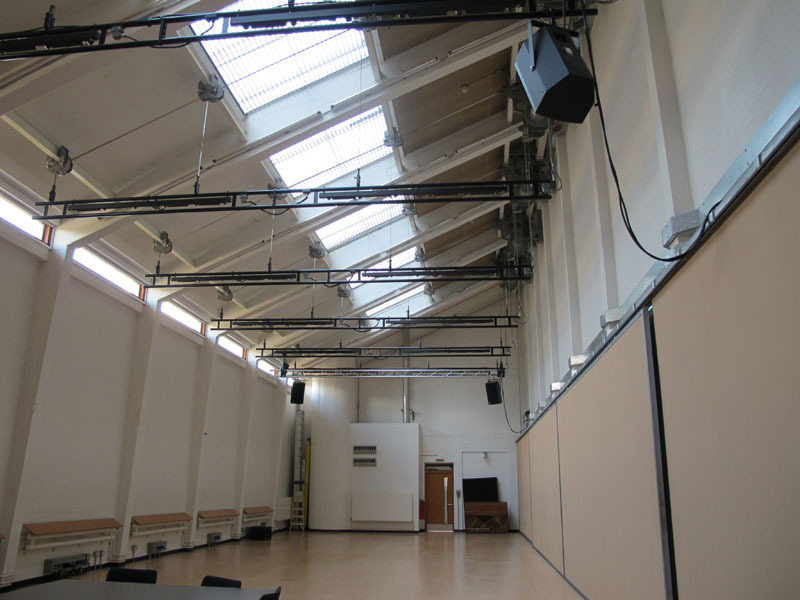 The National Theatre Studio serves as a center for the creative minds behind the plays (writers, actors and technicians) to gather and create their work. 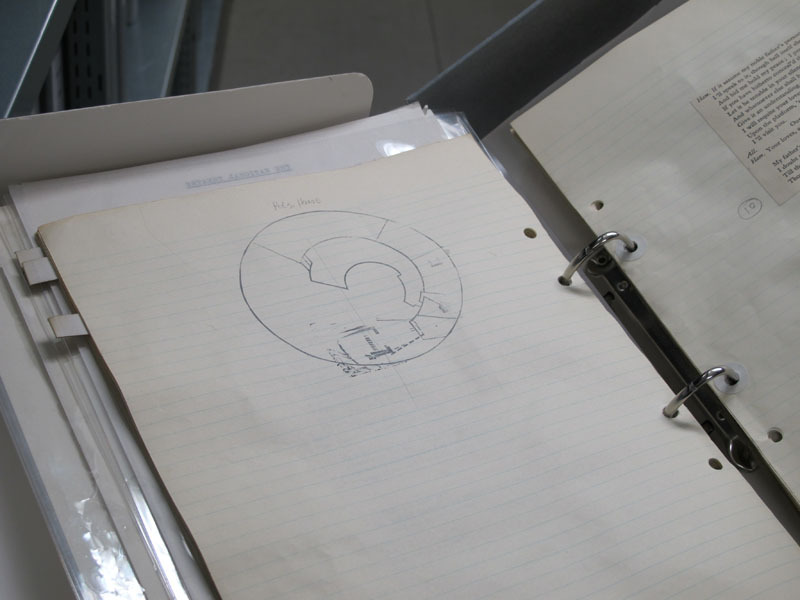 The Archive documents and preserves the history of the National Theatre through various forms of media. Gavin was nice enough to show me around and let me take some photos of the treasures buried in the vault of secrets (aka the stacks in the basement–where all the really cool things in libraries are typically housed); a place where history is preserved. in normal libraries, these stacks are where the giant bound volumes of magazines and newspapers are stored for research purposes. 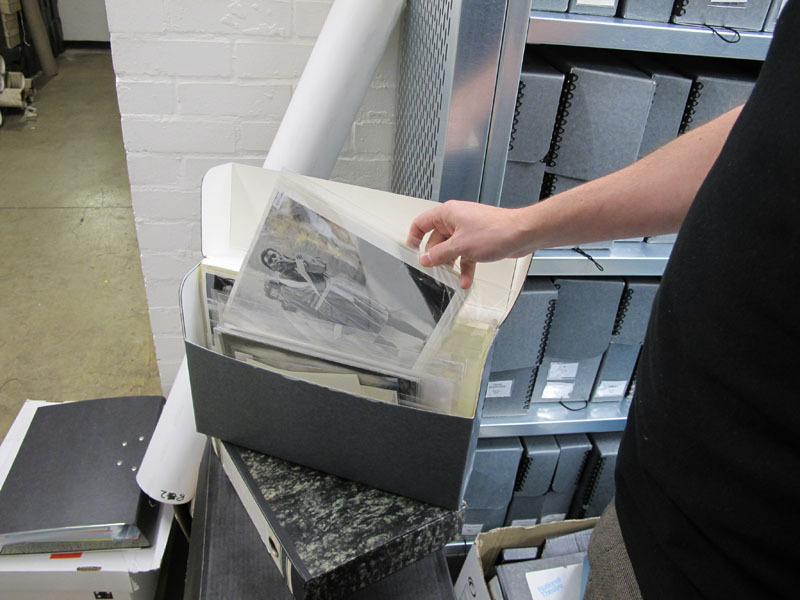 at the national theatre archive, the stacks house archival boxes documenting every nt production since 1963. from photos to set models to correspondance and reels of audio and video, modern theatre researchers need look no further. it's all here! 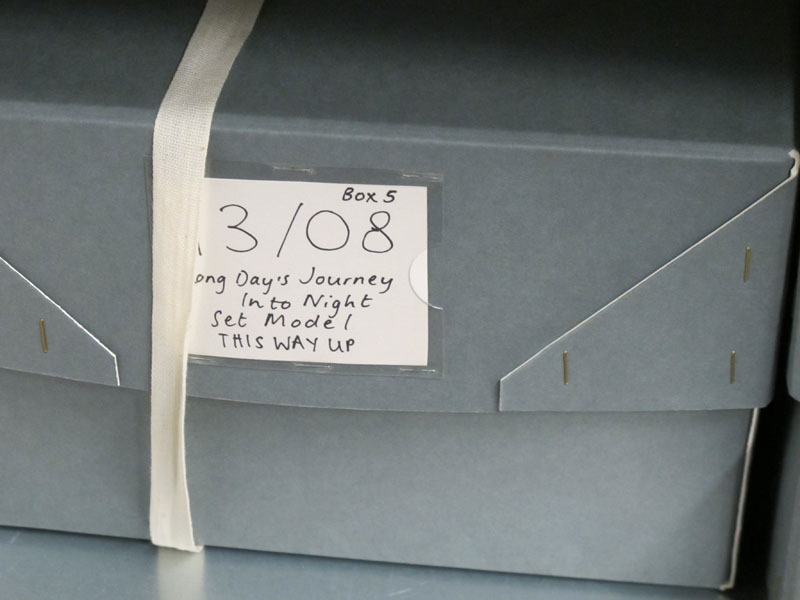 In this brief glance at the inner workings of the archive, I learned that putting on a major theatrical production is so much more involved than I ever realized. And so is keeping history alive. 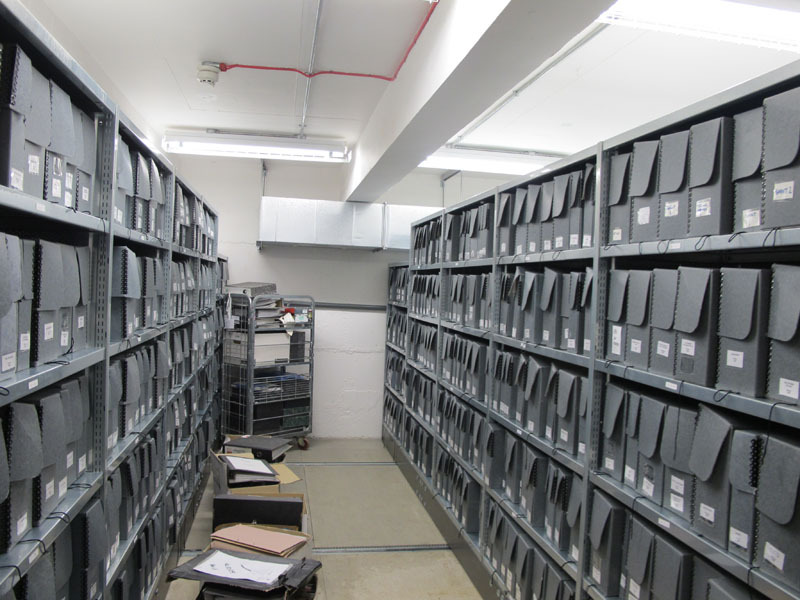 The National Theatre Archive is a spectacular resource for anyone interested in researching theatre in Britain. Thanks again to Gavin for showing me around! I just got chills looking at the photos… I cannot imagine standing in touching range of it all. Wow – what an absolute treasure trove! 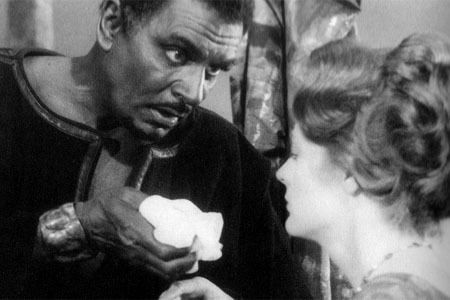 I’ve read accounts of these productions and seen still photographs, but you really had the chance to get into the meat and bones of such renowned productions as “Othello” and “Long Day’s Journey Into Night.” Amazing. Oh Kendra, how thrilling! 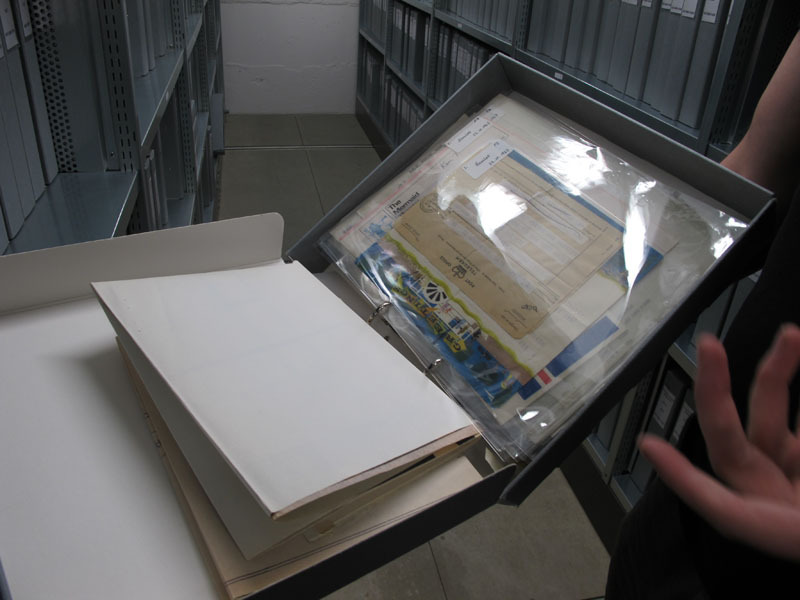 Sometimes I wonder whether I would like to go into archiving but it would be rather solitary and I don’t know if I could handle that at times. What a blast you’re having in London, is there still plans for a Larry/Viv meet-up/conference?